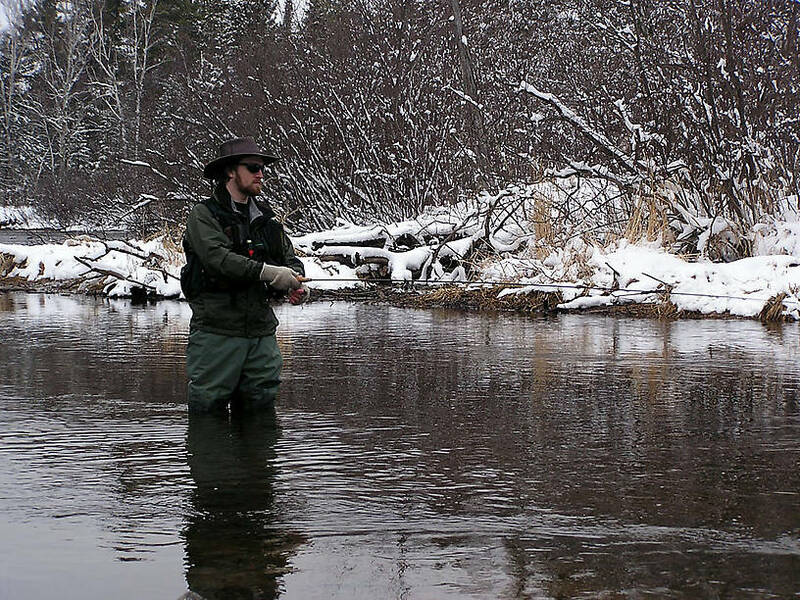 Me trying to catch some hungry little brook trout on opening day, 2004. This little brookie is my dad's first trout on a fly. 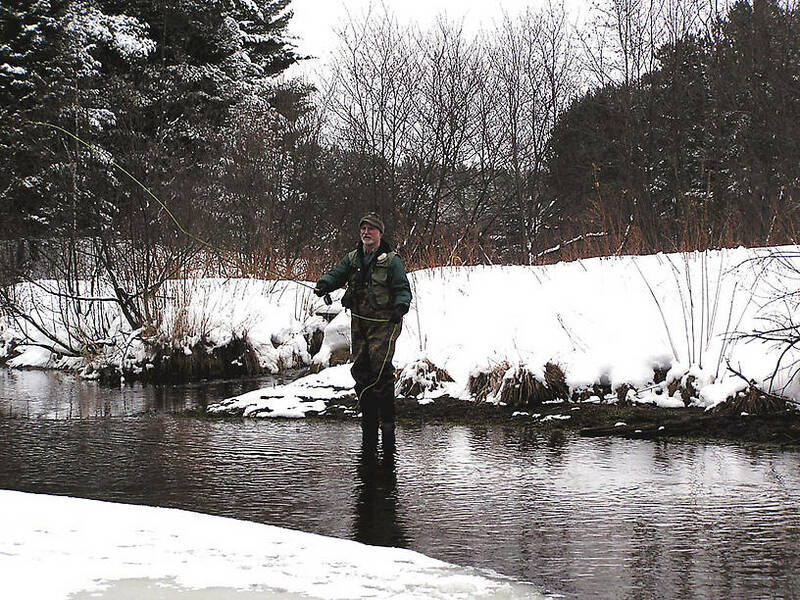 It came on opening day of the 2004 early season for trout in Wisconsin. 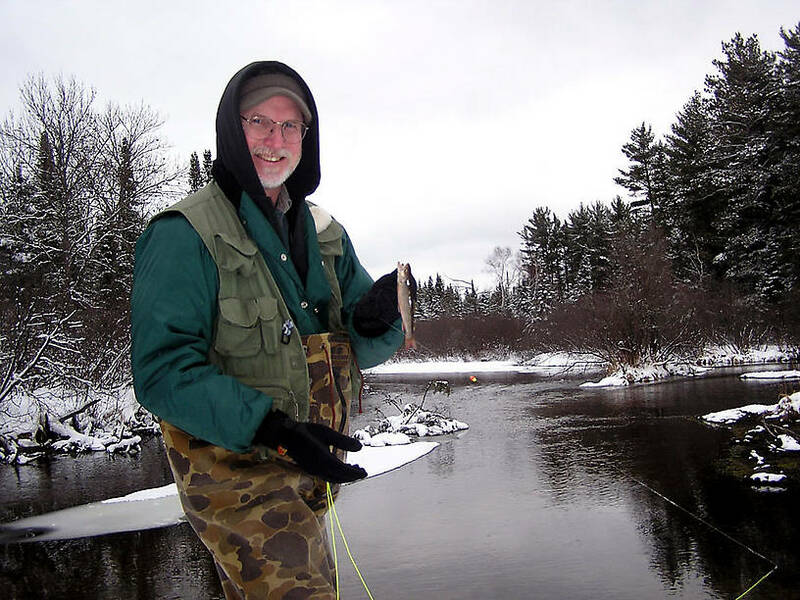 My dad throws a cast on opening day, 2004.